This innovative circular vibratory screen separator machine incorporates solid rubber suspensions mechanism allowing more vibration to be applied directly to the circular screen surface and by consequent a higher throughput can be achieved. This strong vibrating screener also features the Quick Adjust™ weight system to manipulate the force of the vibration without tools and within seconds. The Ranger Separator Vibrating Separator is equipped with 4 rubber mounts giving the sieve a more stable vibration, perfectly isolating vibration to transmit to the base of the screener. Contrary to metal springs in conventional round separators, the rubber suspensions allow more force to be applied directly to the circular screen surface and higher sieving capacity is achievable. Because this round vibrating screener separator is mounted on rubber mounts higher force can be applied, translating into a higher throughput. With the rubber suspensions technology a more stable and controlled vibration is acquired in this circular vibratory screener, allowing more materials to pass the screen easily and faster. These robust rubber suspensions also help the vibratory screener separator increase throughput by allowing more vibration on the screen surface rather than spread all over the entire screening machine. The Ranger Separator™ vibratory shaker features the Quick Adjust™ weight system, which helps set up and change the settings of the vibration without the need of tools and in a few seconds. This technology also allows operators to change the lead angle and vibration force without having to take apart the screener deck, which helps reduce downtime and increase productivity. The Ranger Separator™ is a vibrating separator with an advanced design that is extremely effective when accurate separation is required. The Quick Adjust™ weight system helps control the product movement on the circular vibrating screen by easily adjusting the lead angle or vibration force when necessary. Advanced rubber suspensions make the Ranger Separator™ a high efficient round vibratory screening machine and this technology makes this circular vibratory separator incredibly silent compares to conventional round vibrating screeners. 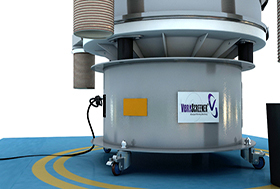 Despite its superior design this vibratory separator differentiates from its counterparts because of its small height. 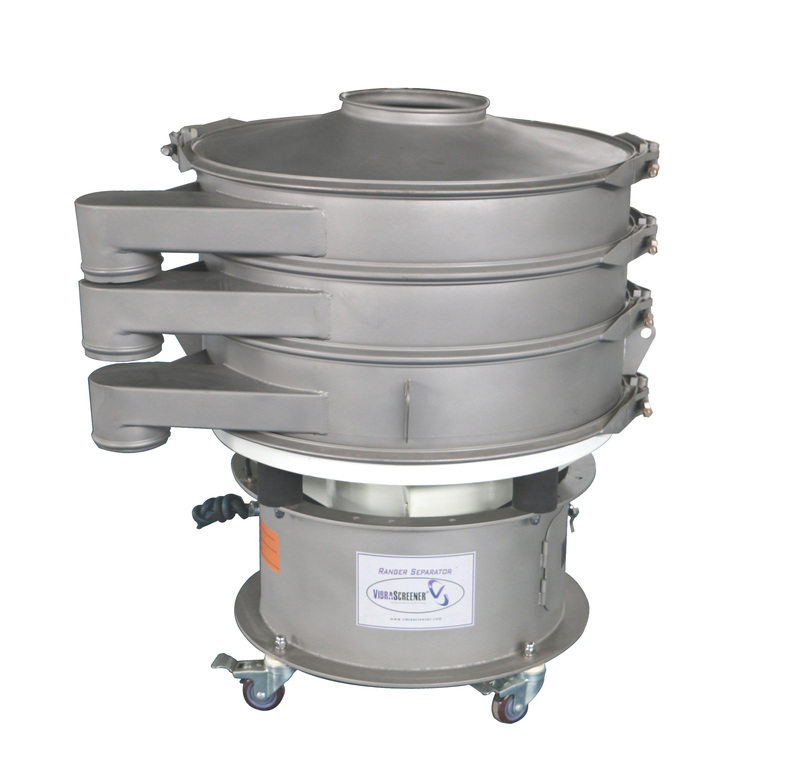 This circular vibrating screener uses a pedestal base, which is compact and does not require excessive headroom in the installation and process. This base also makes the Ranger Screener low maintenance as no shaft and bearings are need it. One of the key features of this round vibrating separator industrial screener is its ease of mobility, allowing operators to move the circular vibratory sifter easily throughout the plant for different processes without the need of additional equipment such as a forklift to move the screener. The four caster wheel where this round screener separator is mounted makes this circular sieving machine versatile and practical. For more information on the Ranger Separator™ and to understand if this is the right vibratory screening machine for your process contact us to speak to one of our screening experts today.